Bon Iver | You hear that?!? By now, the origin story of Bon Iver’s wildly successful’ debut album, For Emma, Forever Ago, has become indie rock legend. In the winter of 2006, the band’s founder, Justin Vernon, retreated to a remote cabin in Wisconsin to recover from illness and heartbreak, and ended up writing a number of bittersweet songs that captured the attention of critics, blogs, listeners and, of course, Kanye West. I enjoyed the album when I first heard it, but it was his performance on Later… with Jools Holland that made me realize what makes Bon Iver so special. 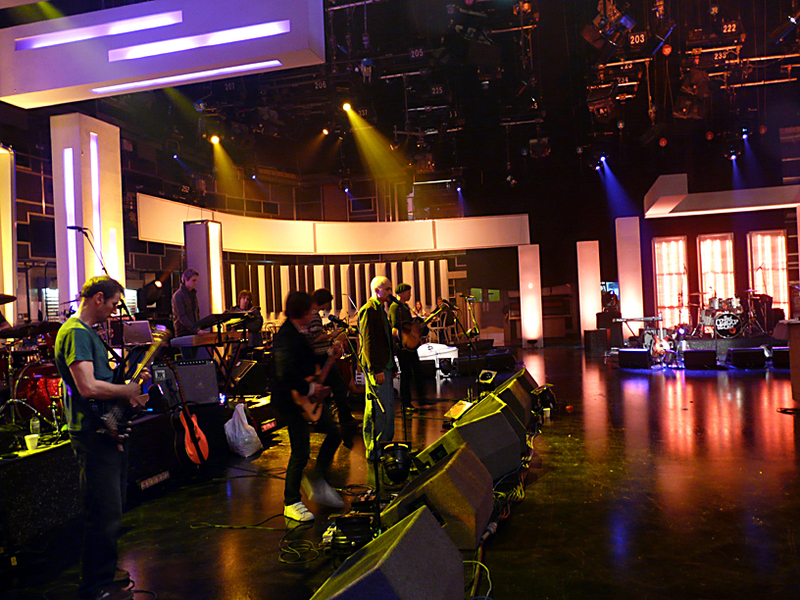 Later… with Jools Holland (or just Later… for short) is an awesome show on BBC that features four or five bands each week, the artists arranged in a big circle, with audience members sitting in between the bands. For the two years immediately after college, I had access to Later… on demand and would filter through back episodes, checking out the diverse collection of performances. Bon Iver’s stopped me in my tracks. It’s a solo performance of “Skinny Love,” just Justin and a steel body guitar, and in four stirring minutes, he conjures the profound loneliness of that Wisconsin winter and transforms it into something greater, more universal, beautiful and, in an inspiring way, confident. I get the chills every time I see it. I hope you’ll check it out and see what I mean, and keep an eye out for his self-titled follow up album, which will be released on June 21. Pingback: YHT Top 10 Albums of 2011, Part 2 | You hear that?! ?